Join Kameel from the middle of August to the end of October as he shares on four cities that are shaking the world: London, Washington, Canberra, and Jerusalem. If we are going to wisely navigate through these troubled waters, we, first of all, need to understand the times (1 Chronicles 12:32). 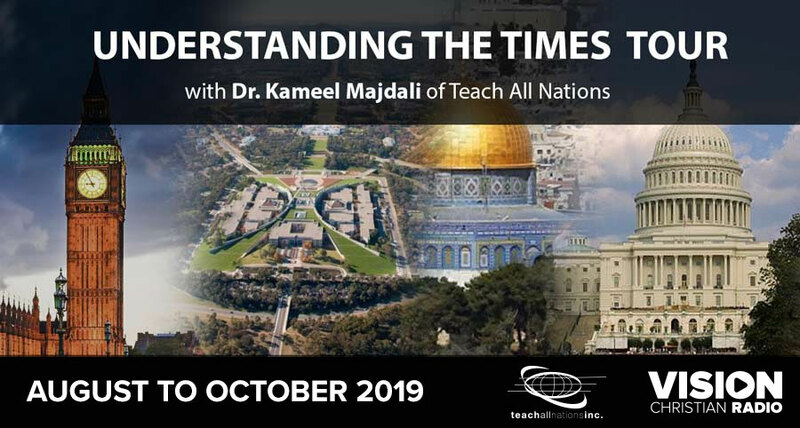 Dr Kameel Majdali will provide an informed, balanced, and inspiring presentation of timely current events. He will help you understand the times we're living in so you will know what you need to do. This early-warning service about the future will inspire and encourage you. This informative session, with one of the world's best informed Bible teachers, is an event not to be missed!